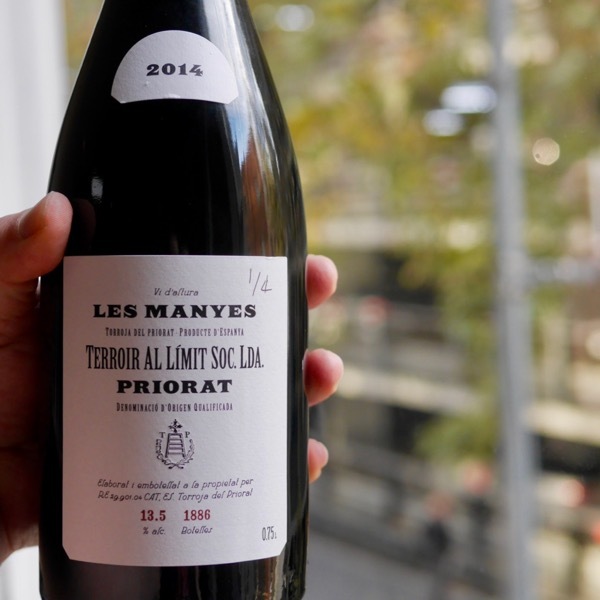 The Priorat revival has been underway for a few decades now. Add a German Chef to the mix with a vision & the drive to make great wine & the results have been something special. A trip to Priorat in 2000 started a, thus far, 17-year adventure for German Chef turned wine farmer, Dominik Huber. 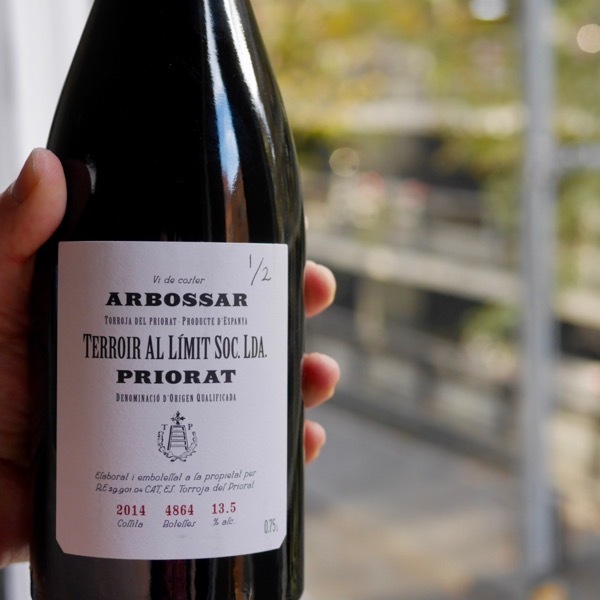 As Dominik speaks of his time in Priorat, the lands, it’s people, and his wines you get a distinct impression that he has found a balance in life that many would envy. 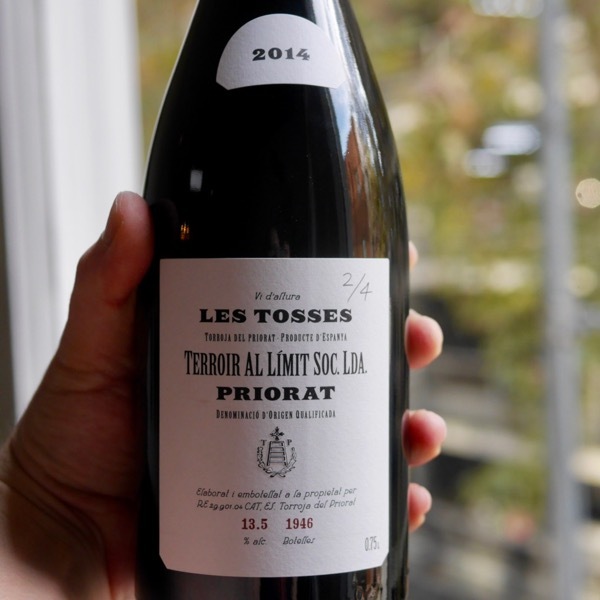 Half his time spent in his isolated mountainous vineyards of Priorat, half his time, moving around the world sharing his passion for the wines of Priorat. The former offering calm, the later, the contact with vibrant people and places of the world, satisfying the joy of experience, in addition to helping disrupt his thinking, helping him push his grape growing and winemaking further. He held a Masterclass in Melbourne for a lucky few. Wine Decoded was there to capture his thoughts on Priorat, his vineyards, wines and much more. Now we share it with you in the film below. Read on for more of our thoughts. His approach to natural wine is proactive, applying great technical rigour to ensure he guides his fruit to deliver its full potential. Disdain, is perhaps, a nice way to describe his feelings for “lazy” natural winemakers who don’t put in the work and make bad wine. No, Brett is not accepted in his wines, and, hygiene is important. Yes, analysis is used to determine the status of wines and make informed decisions. Oxidative maturation is OK in its place, with Huber’s preference to apply it to his whites and not his reds. Oxidised wine is not OK. The whites are still fresh, fragrant, and loaded with intrigue. If you tasted them out of a black glass in a dark room, the textures are closer to a light red, than a “modern” white. Don’t get confused or put off by this, the whites are superb wines, vibrant with great flavours. Simple: a healthy environment, results in healthy vital and vibrant grapes that are just desperate to be turned into delicious wine. Like all of the great wine producers, there is a strong focus on the vineyard. This is matched by the desire to make wine that is the perfect accompaniment to the regional Catalan cuisine, heavy on seafood, often simple, always tasty, typically not made from the prime ingredients, as the Italian’s say, Cucina Povera or poor people’s food. Priorat lies just south of Barcelona in Catalunya off the coast of the Mediterranean Sea. It’s long history with wine started almost 1,000 years ago. In modern times it was consigned to producing bulk wines through co-operatives. It’s renaissance, started in the mid-1980’s, with several producers pushing to make quality wines. Since then, plantings have increased dramatically with noble French varieties, Cabernet, Merlot and Shiraz dominating. Like many of the wine regions in the New World, it’s in a state of rapid evolution, trials of sites, varieties, historic and new winemaking techniques are taking place. Many wines are excessively alcoholic, over-oaked and oxidised. 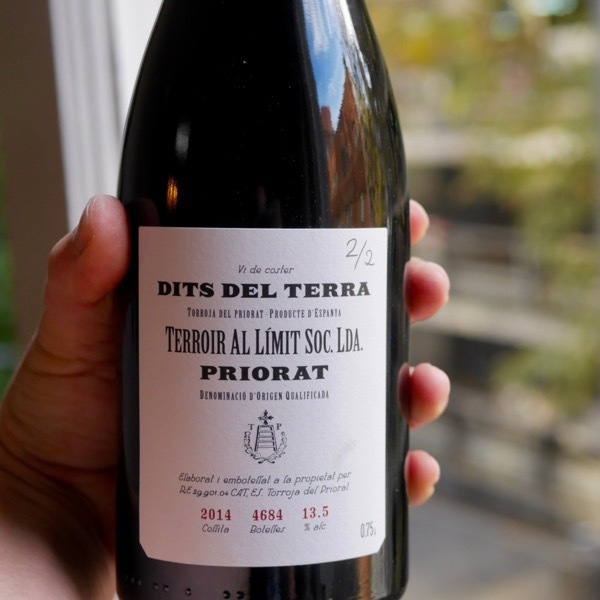 Those that or good, like Dominik’s, are the jewels of Priorat. The region is going through wine puberty again. Huber has stuck to the local varieties, Granatxa and Cariñena for the reds. Garnatxa Blanca, Macabeo, Pedro Ximénez and Muscat of Alexandria for the whites. They are a revelation! In addition to his own wines, he has a side project working with like-minded growers to produce wines under a co-operative model. 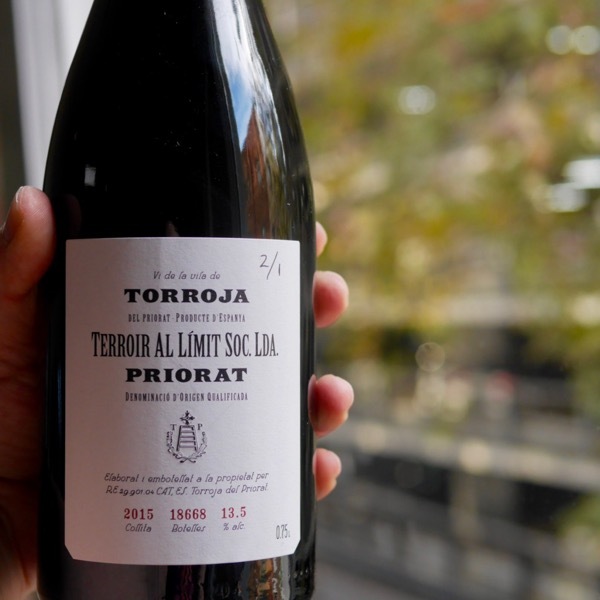 They are the perfect introduction to Priorat. Some, ask if there is a typical style of wine produced in Priorat. I always find this an interesting question. A senior member of the wine industry asked me if there was a typical style of Pinot produced in the Yarra Valley. At the most basic level, my response “The Yarra Valley is over 50km square, there are so many different sites planted to Pinot Noir some warmer, other colder, elevation, aspect, soil types, all of these things vary dramatically throughout the region and different fruit results.” All this was without the influence of vine age, viticultural and winemaking practices. Even in a strip as thin, and, as well defined, as the Côte d’Or in Burgundy 50km x 1km there is an incredible array of different styles of Pinot and Chardonnay being produced. Priorat at about 25km x 25km, has considerable diversity to its fruit sources. Moving past “typical” I’d love to see us looking at wine at face value and asking simply is it good, not, does it taste like Grenache or Pinot. Dominik has chosen a path of restraint, elegance and uses only the traditional local varieties. Which he asserts are better suited to the region with their ability to retain acid and tannin profiles. I certainly think they have the advantage of vine age & balance on their side too. It will be interesting to see if variety experiments extend beyond the few French varieties and how they perform over time. One thing is clear, the wines of Terroir al Límit are very good, perhaps at the top level with Les Manyes and Les Torres, great! You can read more about each of the wines on their product pages. Les Manyes 100% Granatxa = Grenache. Whatever you call it is truly delicious wine filled with personality and intrigue! It has the poise of great Burgundy with incredible layering of complex flavours. Les Tosses 100% Cariñena or Carignan makes stunning wine, one thing is certain, Huber’s top version is spectacular! Abrossar 100% Cariñena. Huber’s cooler fresher version of his 1er Cru equivalent has a ridiculous perfume & teases your senses! Dits del Terra 100% Cariñena. Huber’s warmer, bolder version of his 1er Cru equivalent Cariñena or Carignan perfumed, spicey & savoury! 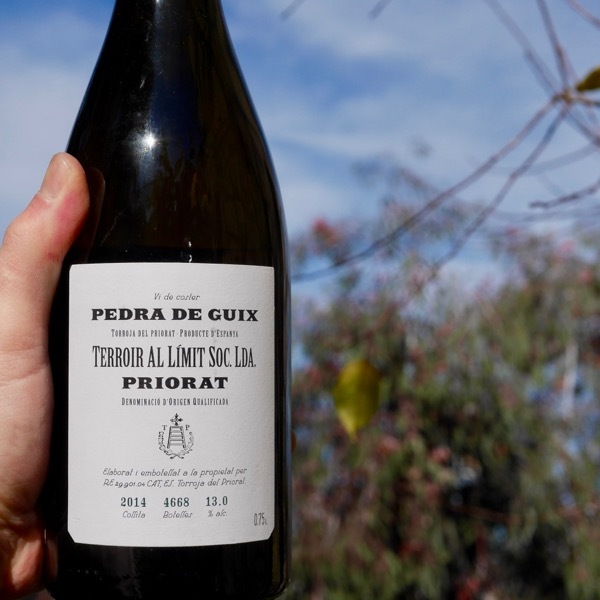 Pedra de Guix Huber’s 1er Cru level white steps up to the plate. One of the most fascinating whites I’ve seen in ages! Garnatxa Blanca, Macabeo and Pedro Ximénez. Torroja 50:50 Cariñena & Garnatxa balances perfume with earthiness & a wicked mouthfeel. Terra de Cuques Huber’s Village white is incredibly intriguing. It’s rare to see so much packed into a wine & for it to have such poise at the same time! A blend of Pedro Ximénez and Muscat of Alexandria. 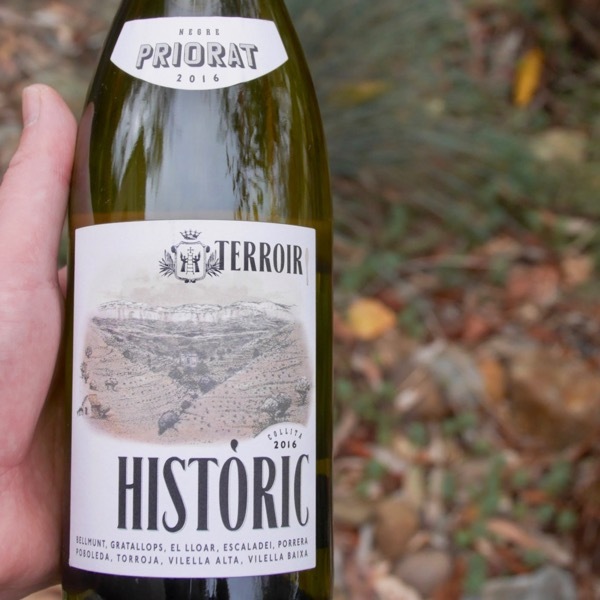 Terroir Historic Negre Perfect intro to Priorat. 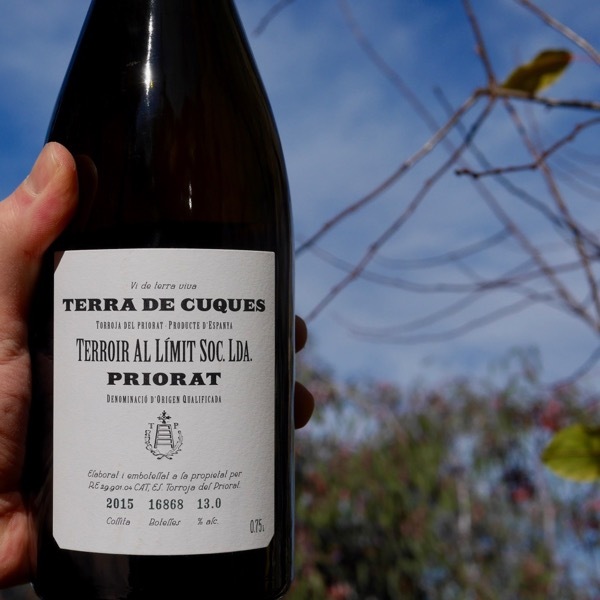 Terroir al Limit’s Dominik Huber working with dedicated growers to raise the bar! Made from 75% Grenache and 25% Carignan as it would have a generation ago. Huber's Village white is incredibly intriguing. It's rare to see so much packed into a wine & for it to have such poise at the same time!